Disclaimer: This is not a light-hearted post. Most African-Americans in this country don’t have the privilege of consulting records and family stories passed down through the generations to discover all the branches on the family tree. That was taken from us, tossed overboard somewhere along the Middle Passage. Surnames? Those of our slave masters to signify whose property we were. First names? Whatever the masters wanted to call us. Religion. Traditions. All stolen and brutally replaced with those of the oppressors. 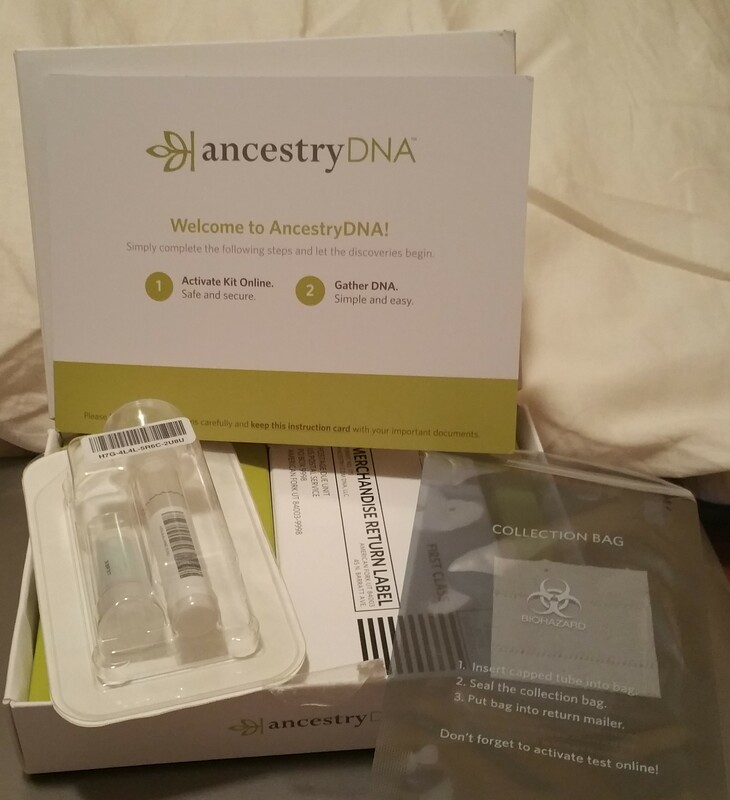 I didn’t tell anyone, not even my family, that I’d ordered the AncestryDNA kit. I’ve delved into my roots before using Ancestry.com. Managed to find a few distant cousins on my mother’s side, one of them provided a partial family tree that he had been putting together. Some progress was made, at least. But, as you might expect, those records only go back so far. Those records can give you names, but not much else. Who were we before the slave trade? You have to spit in a test tube, basically. I took this test not as a means of establishing cultural identity. I’ve been doing me for 36 years now and I doubt any of that is going to change, though I’d love to add to it. What I needed to know more about was my lineage. What is TQ made of? Well, this gets interesting. 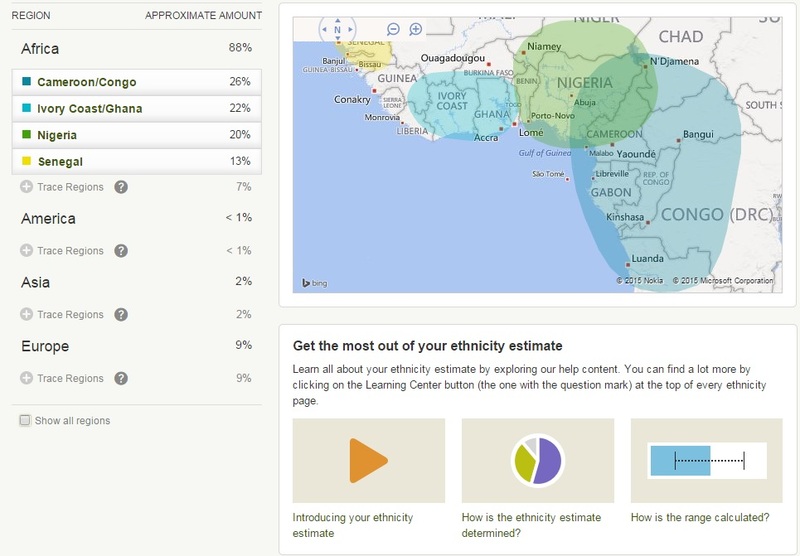 88% African. 9% European. 2% Asian. Less than 1% American. That Native American blood my family has been lead to believe we have? Not so much. At least not where I’m concerned. I know a few former students who will be tickled to find out that I am actually a tiny bit Asian. Just not the Asian they joked about. It just goes to show the magnitude of what was lost and how inaccurate our verbal histories are in comparison to other ethnicities. That 88% only tells part of the story when you look at the breakdown. And there is a lot of breakdown. Good Lord, I come from everywhere on the western coast. While I now have geography, I want names – names I know I might never find. I want to know who migrated where and why. Did someone from Cameroon marry a Nigerian and had a child who married a Senegalese? Then it hits me that my ancestors were probably forced to breed like cattle once shipped to the Americas. This gift of knowledge? It’s almost more frustrating to be so close and still have so many more answers yet to find.